While I am not much of a snacker, I have a weakness for all things crunchy and salty. Chips are my weakness and I have been known to take down a bag on my own during stressful times. I was recently introduced to a new line of snacks called The Better Chip with fresh, simple and bold ingredients. Oh - and A LOT OF FLAVOR!! 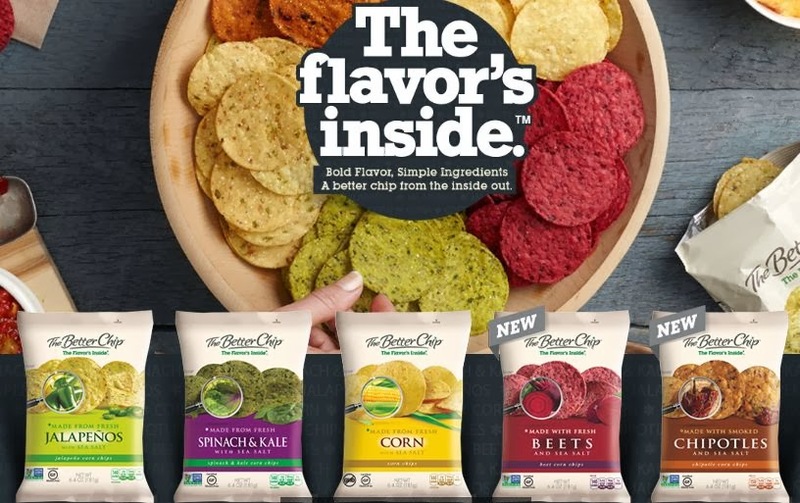 The Better Chip is a vegan-friendly, verified Non-GMO option and is available nationwide Two brand new flavors joined The Better Chip family this week, Chipotles and Beets. Other flavors are Jalapenos, Spinach & Kale and Corn. We were both instantly impressed with these chips, which have a ton of crunch and are not bad for the upcoming bikini weather! I was asked to create a recipe using The Better Chip so I asked the man of the house what I should create. He instantly responded chicken tenders. Such a boy :) I used the brand new Chipotles flavor and the Corn flavor. Chipotle was pretty spicy!! This is a super easy recipe, less than 5 ingredients and takes less than 20 minutes. No other spices are needed. Blend egg and milk together, place chicken strips into the mixture. Bake at 425 for 20 minutes, flipping after the first 10 min. We were very impressed! Click here to join The Better Chip Insiders advocate hub to gain access to exclusive offers, content and prizes!